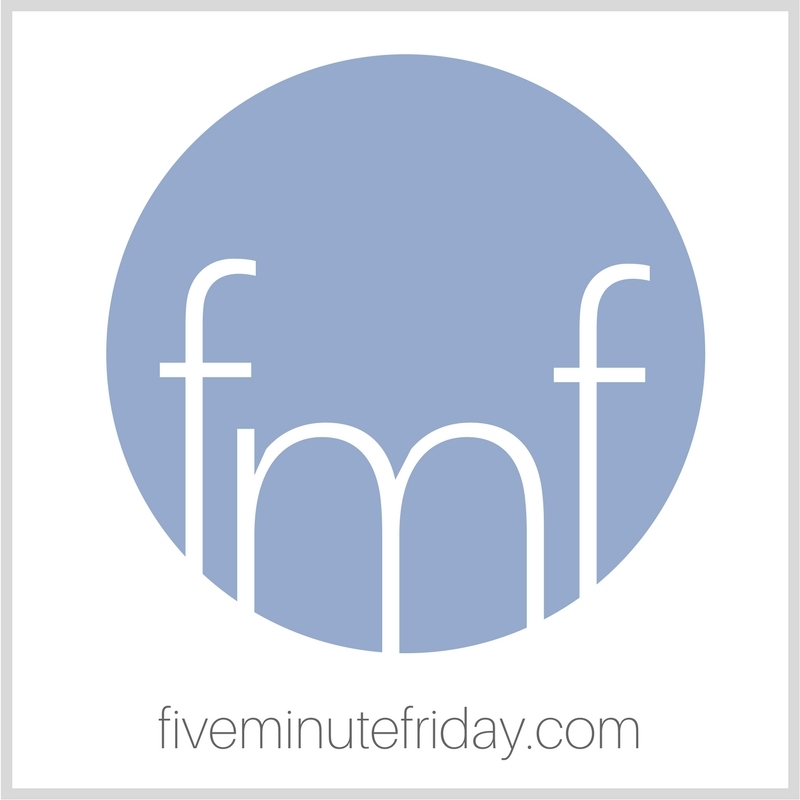 Welcome to another round of our weekly Five Minute Friday blog link-up. We write for five minutes flat on a one-word prompt . . . no editing, no overthinking . . . JUST WRITE! For more info on how the link-up works, click here. Before we begin, I have news! This year’s list of writing prompts for our annual 31 Days of Five Minute Free Writes is NOW AVAILABLE! This week’s @5minutefriday writing prompt is: RUSH. Join us for a five minute free write! Spending nine weeks in South Africa was good for my soul. Yes, we were busy, and yes, I delivered eight talks at five different events in three different cities, but overall, it was so good to slow down and take a step back from the daily grind. The fast-paced life is not necessarily the best life. We do it to ourselves, these choices we make to do this and do that and be here and be there. During the school year in the States especially, I feel like I’m forever heading in the door or out of it, packing lunches, driving to sports practices, or coming back from a parent meeting or soccer game. Yes, that’s a generalization and I’m sure there were exceptions, but overall, people are pretty much just taking their time. “African time,” it’s called by the locals. I could learn a lot from African time. From taking a deep breath, checking my pace, walking a little slower. Realizing that even if things don’t happen right this moment, that everything will still be okay. What’s your best tip for intentionally resisting the rush? Now it’s your turn! Give us your best five minutes on the prompt, RUSH, by joining the link-up below. Be sure to visit your link-up neighbor after adding your post to read and leave an encouraging comment! how amazing to read your post and realize our hearts and minds were one. The rush with kids and meeting appointments/commitments and how it makes us weary. So grateful for your words here tonight. I feel that South African peace coming through the screen like a warm evening wind. African time. I wrote about my time spent in Cuba in 1999 – everyone rushed with nowhere to go. The quotesI read from Whispers of Rest spoke deeply to my heart. The idea of whitespace is a bit abstract to me but I have read about half of that book and found ideas that resonated. I love Bonnie Gray and I’ve read both of her books. She has helped me so much to stop and rest. She loves to be out in nature. I can’t tell you how many times I have stopped and gone for a walk as I remember Bonnie’s words. If we weren’t so busy doing all these things that will eventually amount to nothing, America would be a completely different (and better) place. South Africa has got the right idea! Mine is go outside (yard, park, garden) look, listen, smell…breathe. Oh how I remember African time the many moons ago when I travelled to West Africa and spent two months there. Siesta every day was a wonderful thing! I couldn’t get over how much stress there was when I returned to the States. Even though my trip was over twenty years ago, I remember well and long for those moments more. I find I have to get up very early before work just so I can have at least a half an hour to sit in silence and read or meditate. That means getting to bed earlier so I don’t have to rush in the morning. I also try to get things ready the night before, so I don’t have to do them in the morning.